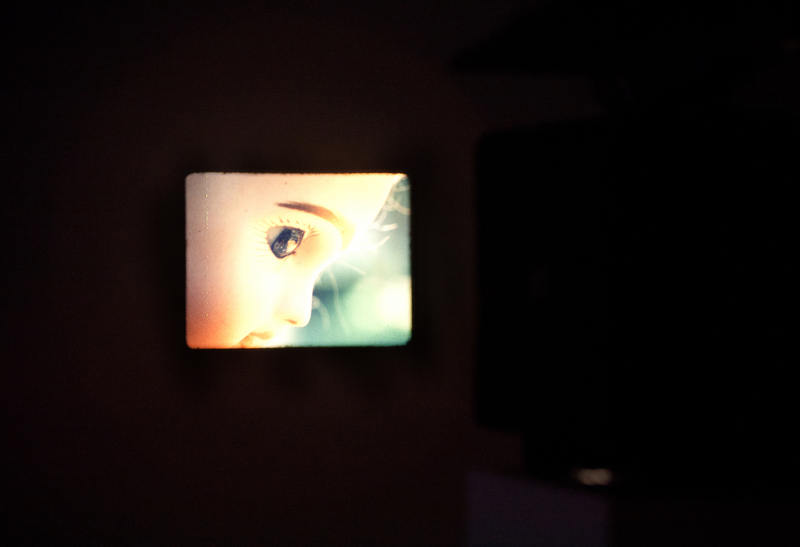 The Siberian Girl is the story of a journey through images among automatons, dolls and musical boxes conserved in the Museo Ca’ da Noal of Treviso, one of the most important collections of small technological marvels of the past. Anna Franceschini’s project consists of the projection of three films, installed in the gallery space and recreating an immersive environment in which the viewer is invited to catch suggestions of different natures, in a continuous back-and-forth between reality and make-believe. The singularity of Franceschini’s work is its use of the means of communication of cinematographic film as an evocative device, through the modes of the creation of images in movement typical of the origins of cinema. Viewing films through procedures linked to the analogical leads the observer into a symbolic and strongly atmospheric dimension. 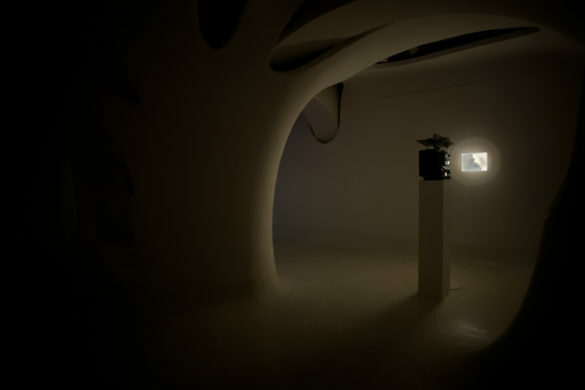 Starting from the collection of the museum of Treviso, the artist elaborates an idea that marries the conceptualization of automatons with the very idea of cinema, finding occasion for reflection in Werden und Wesen einer neuen Kunst by Béla Balázs, a Hungarian cinema theorist, in which the author describes the first visit to the cinematographer of a young Siberian girl, just arrived in Moscow from her remote homeland and still oblivious to the technological fervour that animated the metropolises at that time. After the viewing of a film, the employers asked the girl what her impressions were. She was literally disgusted by the new art that literally “took people to pieces”, intending by these words the succession of the various fields and planes of film, the framings that showed details of hands and eyes, the close-ups of faces, the half-figures and whole figures—what in the same years Sergei Eisenstein had rebaptized “montage”, the procedures of reproduction of perceptive effects in the spectator.